To fall in love at the club is first to fall in love with the music. Bass lines carried through bodies connect otherwise complicated humans through stripped-down threads, loops, and bridges. In a room full of strangers, everyone is a potential lover and friend. NAO’s debut record For All We Know is reminiscent of the best DJ sets, when the DJ weaves together songs to build an arc that can make or break your post-party story. The music comes across as both effortless and familiar. Neo Jessica Joshua, the singer-songwriter behind NAO, brings girl-next-door simplicity to the club. 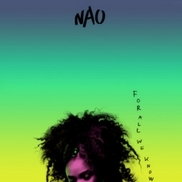 With humble origins—two EPs on Soundcloud and a Tumblr—NAO has risen from internet niche to headlining act. For All We Know is becoming a fixture in the dance music world, due to the fact that NAO’s funky bass lines and beats are versatile enough to bump and grind, slow roll, sing along, and bounce to, depending on the listener. For All We Know opens gentle and soft, almost fragile, courting listeners on whisps of intrigue. Joshua’s voice instantly distinguishes her; it’s soft, high, and controlled. The album’s arrangements also start out sparse. This is Joshua introducing herself as NAO, beckoning us in. Future songs are teased in interludes, tying the album together and building anticipation even while the beats stay mellow. By the time the spunky beats of the third track, “Inhale Exhale,” hit, it’s impossible to stop listening. In the world of social media obsession with being an “influencer,” it is bold and confident to admit one’s sources. Joshua, a background singer before she was a solo artist, finds power in allowing herself to be impressionable. As she has said in interviews, she does “what comes naturally,” honing in on her East London origins, both referencing established genres and transforming them. 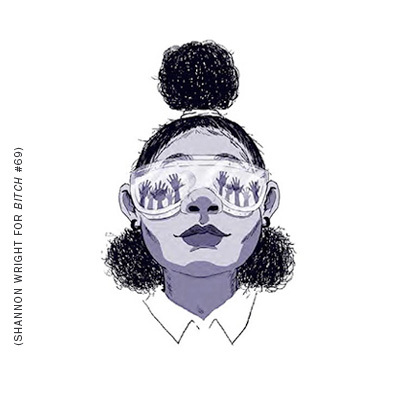 By both following her inner voice and drawing upon her specific sonic milieu, Joshua has created what she calls “wonky funk,” a formula Top 40 could easily appropriate and translate into future pop music heavily influenced by R&B, disco, and dubstep. Her lyrics, too, tell complex stories throughout, exhibiting a full, and fully relatable, spectrum of emotions. This record seems like it’s ending several times before it does. It’s enough to dance, sweat, and feel your way through an entire evening—if you’ve got that kind of stamina. Syrian-American lead singer Miriam Hakim turned her daily frustrations into the song "This Stupid Stuff."